Wormseed is extracted from Chenopodium ambrosioides (also known as Chenopodium anthelminticum) of the Chenopodiaceae family and is also known as Jesuits' tea, herb sancti mariae, American wormseed and Baltimore. The oil is toxic and should not be used in aromatherapy. It is a hairy, coarse, perennial herb that grows up to 1 meter ( 3 feet) high with a stout, erect stem, oblong-lanceolate leaves and many green-yellow flowers, the same color as the leaves. The native Americans of Eastern America used the herb to help with female problems. It was also used to expel roundworm, hookworm and dwarf tapeworm. Wormseed oil is toxic to the liver and kidneys and even a small amount can cause fatal poisoning. Toxic effects include irritation of the digestive tract, nausea and vomiting, vertigo, ataxia, deafness and visual difficulties. The ascaridole in wormseed oil is an unstable compound and may cause the essential oil to explode when treated with organic acids or heated. Wormseed oil is extracted from the whole herb, especially the seed or fruits, by steam distillation. The main chemical components are ascaridole, cymene, limonene, terpinene and myrcene. 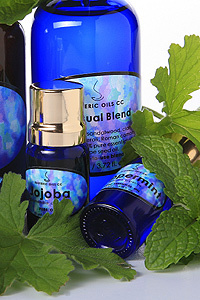 Wormseed oil should not be used in aromatherapy and the oil may explode when heated or treated with acids.